Enjoy Sam Kean Books? Tell us Why and Win a Free Book! 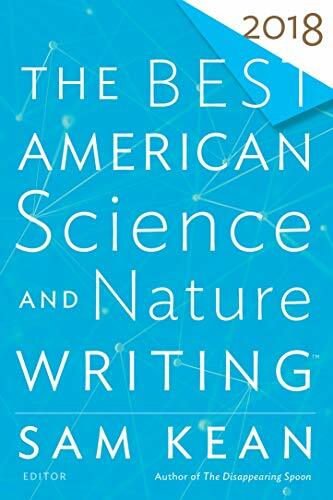 “This is one of the most exciting times in the history of science,” New York Times-bestselling author Sam Kean proclaims in his introduction to The Best American Science and Nature Writing 2018. “Things aren’t perfect by any means. But there are more scientists making more discoveries in more places about more things than ever before.” The twenty-six pieces assembled here chart the full spectrum of those discoveries. From the outer reaches of space, to the mysteries of the human mind, to the changing culture in labs and universities across the nation, we see time and again the sometimes rocky, sometimes revelatory road to understanding, and along the way catch a glimpse of all that’s left to learn.